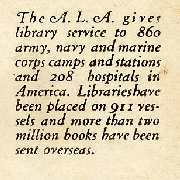 During World War I, the American Library Association (ALA) was responsible for building 40 camp libraries in the United States. The Carnegie Corporation provided $320,000 to build 36 of the camp libraries. 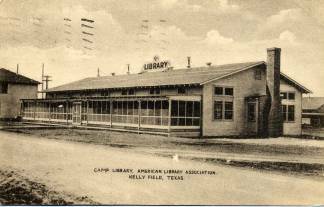 ALA produced postcards depicting most of these libraries. As far as I am aware none of these buildings have survived making the postcard images important historical visual records. 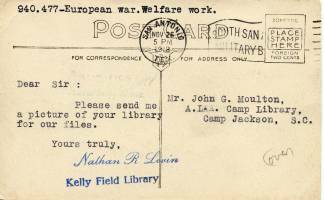 The postcard below of the ALA Camp Library at Kelly Field, Texas bears a message from the librarian requesting a picture of the ALA Camp Jackson Library in South Carolina. It was mailed Nov. 26, 1918. 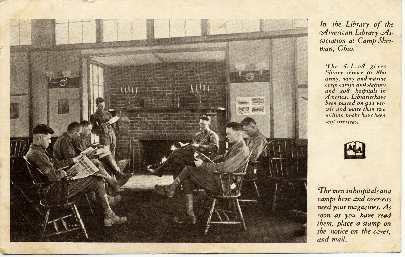 Interior view of the library at Camp Sherman, Ohio. 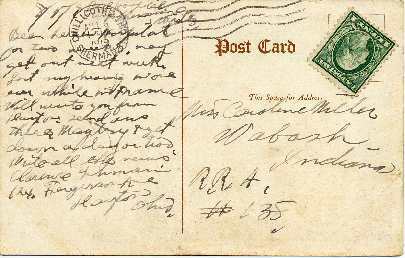 The message on the back is written by Clarence Lehman? while in the base hospital. It reads in part: "Been here in hospital for two weeks. May get out next week. Lost my hearing in one ear while in France." 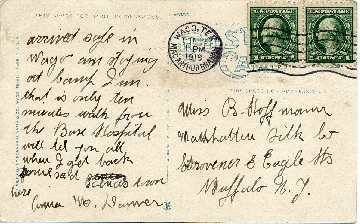 It was mailed on August 5, 1919. 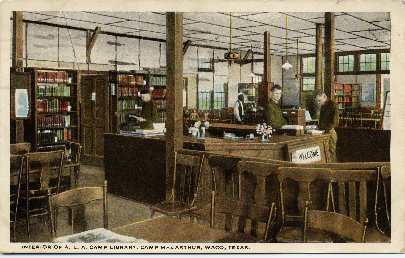 Interior view of library at Camp MacArthur in Waco, Texas. The card is evidently from a family member of a soldier in the camp hospital. It reads in part: " arrived safe in Waco am staying at Camp Inn that is only ten minutes from the Base Hospital. will tell you all when I get back from sad scenes down here." Anna M. Danver. 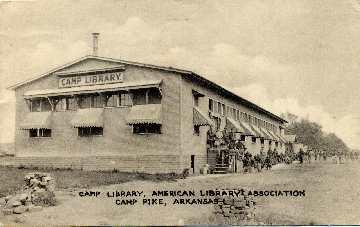 Library at Camp Pike, Arkansas. The postcard includes a notice encouraging the recipient to donate magazines for the "boys" in Army and Navy hospitals. The library at the Great Lakes Naval Training Station in Illinois. 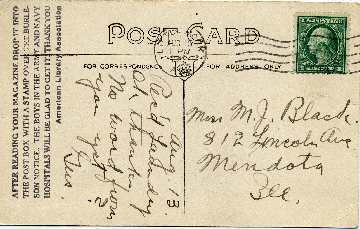 The postcard is labeled as Camp Perry. 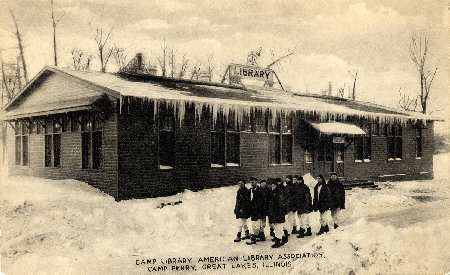 Camp Perry was one of the training camps at the Great Lakes Naval Training Station.